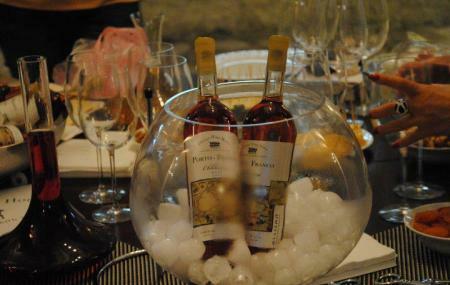 Established in 2010, this quaint wine house is located 15 kilometers outside the Batumi city. Its establishment of the 18the century ruins of a previous Adjaria winery, the environment is beautifully rejuvenating and very spa-like. With a missing to keep the previous traditions of the regions wines, you will get an opportunity to savor some delightful “Chkhaveri” among a few more. The food and drinks are indeed stellar! Wine connoisseurs and lovers alike, will especially love this place, given its features of a Wine Factory, Wine Cellar, Restaurant, Drinks Bar and a Vineyard. A great place to spend the day out and outside the town of Batumi. This is great pit stop on your way to another popular Batumi attraction of the Bridge of Makhunsteti. You can buy a wine here. Love this? Explore the entire list of places to visit in Batumi before you plan your trip. Fancy a good night's sleep after a tiring day? Check out where to stay in Batumi and book an accommodation of your choice. How popular is Adjarian Wine House? People normally club together Batumi Art And Musical Centre and Mtirala National Park while planning their visit to Adjarian Wine House. Unbelievable beautiful place in a dreamy mountain area. Serves the best traditional Georgian food and wine. Great restaurant beautiful setting. Excellent red 🍷 and ChaCha. Awesome place. ı think you have to visit there and taste really good vines.